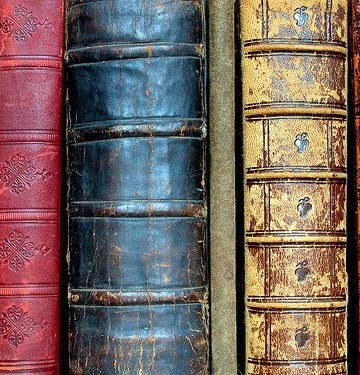 A year and a half ago, I wrote a post titled, "County Histories and Biographies (Mug Books)," in which I listed numerous online digital book sites where you can find these rich resources. Since that time, I have found more state-specific sites, either at the state websites themselves, or on genealogical web-hosting sites. Some have text-only pages and/or only have a few county books listed, while others have dozens of mug books in glorious digitized format. I hope these continue to be helpful in your research. Illinois Harvest - http://illinoisharvest.grainger.uiuc.edu/index.asp - do a search for "county history" or "county biography"
The name WILSON is a patronym of Will or William, and generally is found in the British Isle. 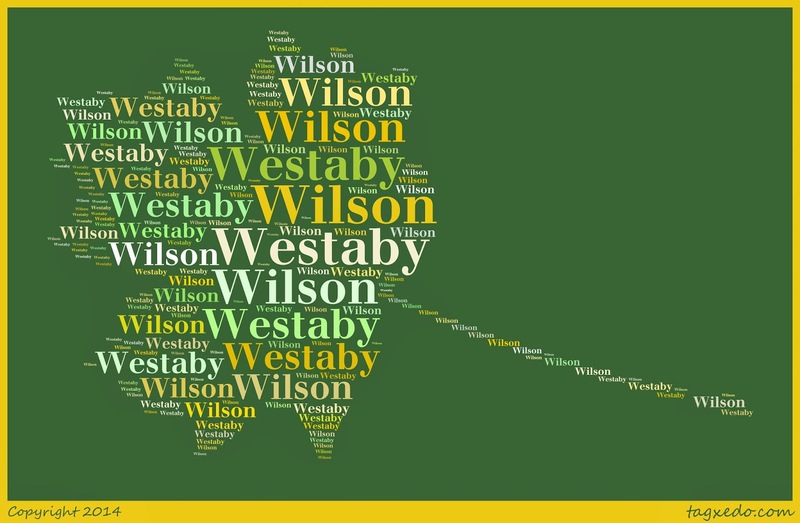 The earliest documentation of my children's paternal WILSON line can be found in Lincolnshire, England. Ahnentafel #82 - William WILSON (dates unknown) - he married Maria [--?--], probably before 1807. They had eleven known children. Ahnentafel #41 - Ann WILSON (1822 - 1902) - born in England, she was the seventh of eleven known children. She married George Rice WESTABY, I (1822 - 1894) on 12 April 1850 in Glanford Brigg, Lincolnshire and they emigrated almost immediate to Jo Daviess County, Illinois with George's brother, Charles. They lived for the rest of their lives in Jo Daviess County, and are buried there in the Thompson Cemetery. The family is mentioned quite frequently in The History of Jo Daviess County, Illinois (1878), and at one point, one of Ann's WILSON nephews from England is reported living with her and George. Ahnentafel #20 - George Rice WESTABY, II (1863 - 1927) - between 1880 and 1888, "Rice" moved to Montana from Illinois, where he married Rebecca Catherine SNOOK. They settled in what was then Custer (now Rosebud) County, raising their five sons and one daughter. Later they divorced; Rice supposedly married twice more. I've yet to find evidence. Ahnentafel #10 - George Rice WESTABY, III (1890 - 1972) - worked for the Northern Pacific Railroad and followed it to the Yakima Valley in Washington State in 1920, where descendants still remain. His wife was Rena LERFALD. I have spent a lot of time, thousands of hours, researching my ancestors and collateral relatives in vital records, especially in Michigan county birth, marriage, and death records. The more I became familiar with these records groups, the more I realized I didn't know much about the history of the records, their purpose, and their evolution over time. Reading Michigan Genealogy: Sources and Resources by Carol McGinnis answered a lot of those questions. But so did my observations while working in those record groups. I learned the records and understood their flaws and strengths, and knew why my ancestors did not appear in them, or appeared more than once. I learned to look for the same record at different government levels to get more complete information. I also learned how to save my money when ordering a copy of a vital record (but that's a tip for another day!). When were vital records required by the state (or province or nation, if looking at non-U.S. vital records)? What entities, if any, kept vital records before the state did? Were any kept at the town, city, municipality or county level? Did the local churches keep records? Where are these records now and how have they been preserved? What information was initially gathered for the original state vital records? When and how did this information change over time? For instance, were mothers' maiden names added to later records? How was this information collected? Was it gathered or reported? For instance, in some places, like Michigan, birth and death information was gathered by local authorities, census-style, once a year. This information was then sent to the county clerks, who after recording it in the county libers, sent the information on to the state, where it was recorded for a third time. In other places, doctors, midwives, coroners, and those present at births and deaths may have been required to report vital statistics. Each of these systems had their flaws and strengths. At what point did the system change from liber-style records to issuance of birth and death certificates? Was there an overlap when both systems occurred at the same time? How has information recorded on the certificates changed over time? What losses do we know that may have occurred to this record group? Are there substitutes? What about unusual vital records, like delayed birth certificates, or records of stillborn births? If the records have been microfilmed and/or digitized, how can I be assured that all the records were copied? If they are online, do all the records appear? Are they all searchable? What genealogy books or guides are available to familiarize myself with these records? To my knowledge, all states list their laws online on their state websites. You might have to do some complicated digging, but you can eventually find the laws that govern the way vital statistics are now kept by the state whose vital records you are researching. You may even be able to access older, obsolete laws that listed how those records were initially recorded. Knowing our record groups--their purpose, history, evolution, strengths and weaknesses--is so useful as part of the "reasonably exhaustive search" for sources which is the first element of the Genealogical Proof Standard. Postcard to Miss Rena Lerfald in Woodinville, Wisconsin from Mrs. H, postmarked 8 Mar 1911, Georgetown, New York. Westaby-Lerfald Postcard Collection. Privately held by Troy Midkiff, [ADDRESS FOR PRIVATE USE,] Vancouver, Washington. 2014. The February 2014 Scanfest will take place here at AnceStories this coming Sunday, February 23rd, from 11 AM to 2 PM, Pacific Standard Time. To celebrate and publicize Random Acts of Kindness Week, I'm republishing my series from 2008, with some editing to fit 2014. "Nobody likes an ingrate!" is something I found myself saying all too frequently over the years to my children--and, I must admit, to myself as well. A little bit goes a long way. If you have a blog or a website, post a message praising the kindness given. If someone has sent you information via e-mail, even if it's something you already have, send them a thankful response. If a library staff member has looked up, photocopied, and mailed you an obituary free of charge, take the time to send a thank-you note by mail. Perhaps include a donation to their library foundation. 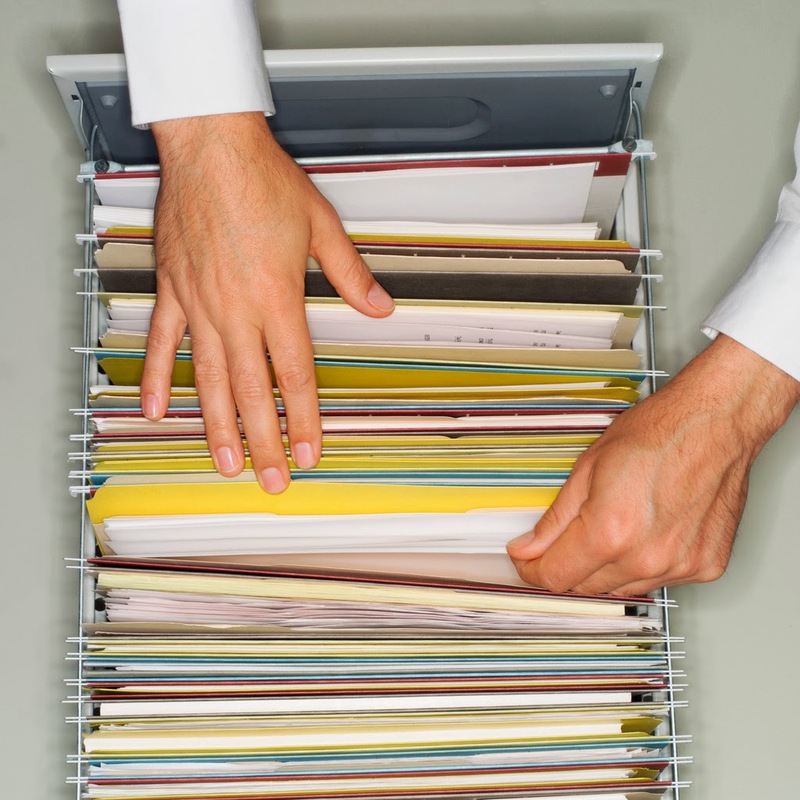 If a funeral home employee has gone out of their way to find a death record in an ancestor's file buried deep in the storage room of the basement, send a letter praising their worth to the board of directors. Some lookup service sites have either a thank-you page or contact information where you can write the webmaster and tell them how wonderful their volunteers are! 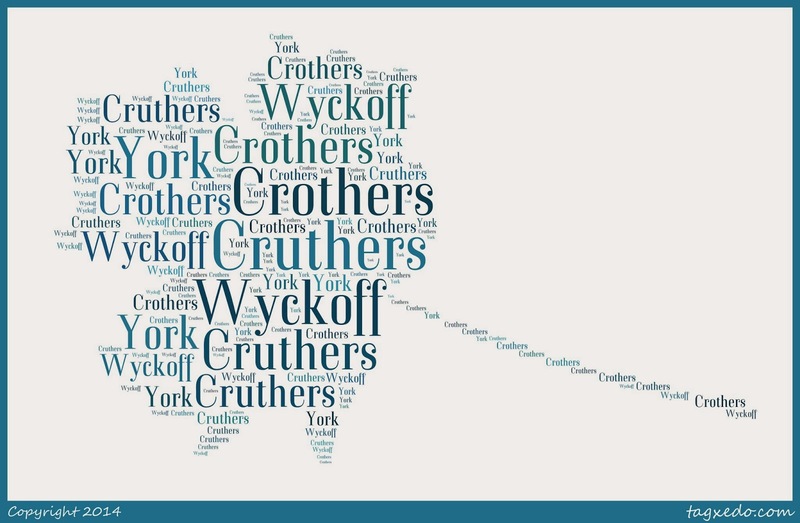 My CROTHERS surname is often spelled CRUTHERS or CRATHERS. The family appears to have been Lycoming County, Pennsylvania with my WYCKOFFs, with whom they intermarried. My ancestors are first identifiable in Erie County, New York in 1830. Ahnentafel #82 - John CROTHERS (c. 1799 - bet. 1840-4) - According to information his adult children gave on censuses, John was born in either in Pennsylvania (more likely) or Massachusetts. He married Mary "Polly" WYCKOFF, probably around 1824-5, very likely in Erie County, New York. They had seven known children, and lived in the Town of Clarence in Erie County. John died sometime between 1840, when he was enumerated on the Federal Census, and 1844, when Polly married William CHAPPEL. The family story is that John drowned. New York did not require death records to be kept for nearly another 50 years. Ahnentafel #41 - Anna CROTHERS (1825 - 1904) - born in Erie County, Anna married John H. YORK (1823 - 1898) in 1847, probably in Erie County. The YORK family were neighbors with Anna's mother's family, the WYCKOFFs. Anna and John had seven known children, five of who attained adulthood. They farmed in the Town of Newstead until the fall of 1850, when they moved to Atlas Township, Genesee County, Michigan, to be near John's mother's family, the SWEERSes. There John died, and Anna remained for another six years, before passing away at the home of one of her daughters in the Village of Goodrich. They are both buried in Goodrich Cemetery. One way that you can make a difference to the genealogical community is to volunteer to transcribe, abstract, or index genealogical data for a society or other group. With the advent of the Internet, this no longer means that you always have to go onsite to do your act of kindness! I know of several members of the Eastern Washington Genealogical Society, as well as my sister-in-law (not an EWGS member), who have volunteered to index data for the Washington State Digital Archives. In my sister-in-law's case, she had copies of census records mailed to her, which she then indexed, never having to leave home to volunteer her time. FamilySearch Indexing is another project that you can work on from home, which I have done on occasion. Renee and Lori are a couple of my geneablogging friends that have been volunteering for this and blogging about their experiences. Cyndi's List also has a page of Volunteer Projects where you can locate an assignment on which to work. Postcard to Miss Rena Lerfald in River Falls, Wisconsin from Cousin Adelia Lerfald, postmarked 5 Feb 1910, Zumbrota, Minnesota. Westaby-Lerfald Postcard Collection. Privately held by Troy Midkiff, [ADDRESS FOR PRIVATE USE,] Vancouver, Washington. 2014. It's time to put your money where your mouth is! 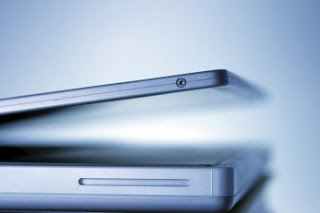 Many of the following websites perform free or low-cost services to the genealogical community, and several struggle to maintain the expenses of running their websites. By giving a one-time $5, $10, or $25 donation, you can help defray the owners' costs and continue to provide inexpensive resources to many others. Cyndi's List - Who HASN'T utilized Cyndi's List to find helpful genealogical websites? Looking at the vast network of thousands of pages and nearly 330,000 links, it's hard to believe that there is only one person behind this project. Cyndi Ingle works tirelessly to provide this FREE service to the genealogical community, while supporting her son as a single mother. You can help keep Cyndi's List free and support this fabulous woman by donating to her site or purchasing some cool Cyndi's List products or renewing your subscriptions! Preserve the Pensions War of 1812 Digitization Project - "The Pension Records from the War of 1812 are among the most requested documents at the National Archives. Unfortunately, these fragile documents are in urgent need of digitization. In support of this monumental task of digitizing 7.2 million pages, Ancestry.com has provided a dollar for dollar matching grant, so every dollar you contribute will make four more pages accessible and free for everyone." Many of these sites or blogs have advertising on them. Support your favorite webmaster or blogger by clicking on these ads every time you visit. By doing so (even without making a purchase! ), the owner likely will receive a small profit which often goes towards their bandwidth or webhosting expenses. If you have a specific purchase in mind (genealogy-related or not), check out the online shopping ads on your favorite sites or blogs to see if you can make your desired purchase through them. Sometimes you'll even receive a discount by doing so! If you would like to try out or renew your membership to a genealogy-subscription website, click on the advertisement for that site on your favorite genealogy website or blog. If you belong to a genealogy society, see if their site or blog has these advertising links as well. Finally, I know one generous couple in my local genealogical society who have anonymously set up a fund to help other members pay for workshops and seminars our society sponsors. This helps those members with tight budgets to be able to enjoy the social, educational, and genealogical benefits of attending a local workshop or seminar, without the additional costs that exceed annual membership. Perhaps this is a path you would like to pursue as well. Last week, I was at the Family History Library in Salt Lake City. I looked at dozens and dozens of rolls of microfilm, searching for records of my ancestors. Before I actually did any research, my friend, Donna Potter Phillips, gave me a handy tip. She told me to use a Post-it note to mark the drawer where I got my film for easy re-shelving. 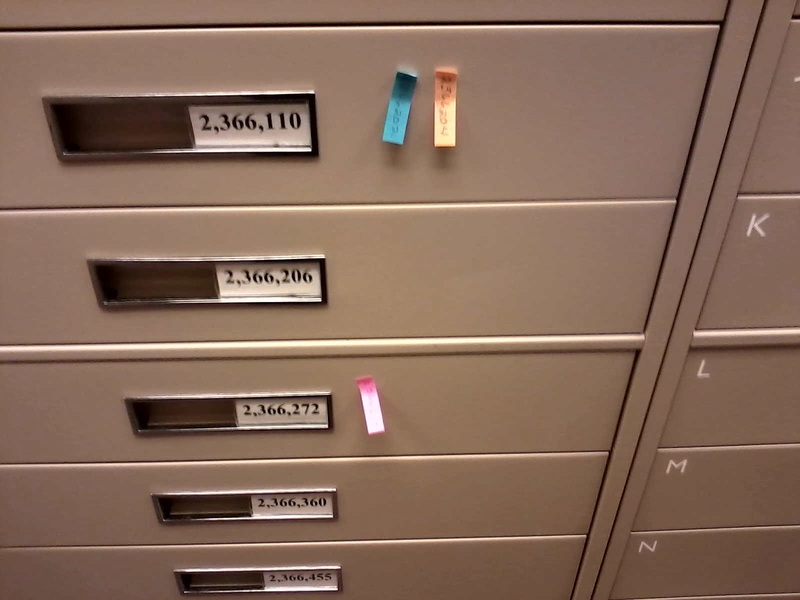 With about a dozen LONG aisles filled floor-to-ceiling with drawers of microfilm, this made great sense. 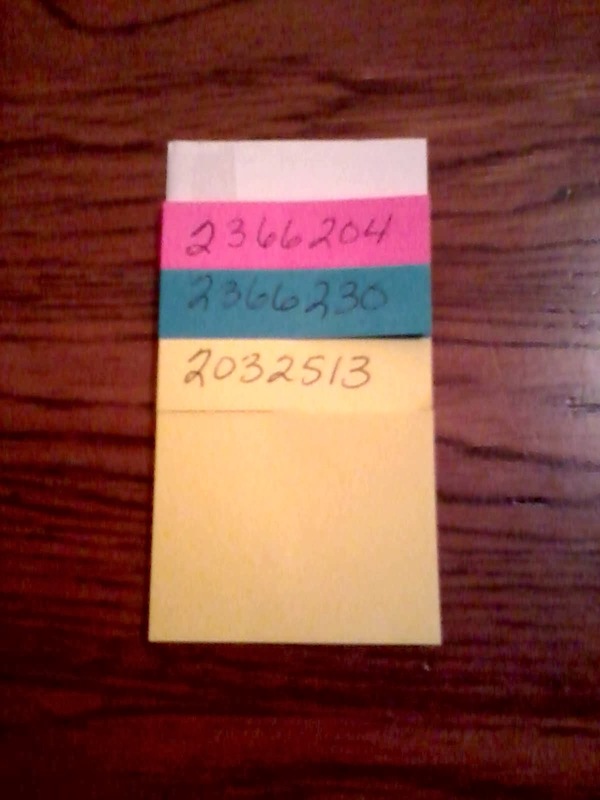 I took things one step further by using a little Post-It note pad full of the small notes. I would write down the film numbers on the pad, and take it with me, grabbing my limit of five rolls of microfilm at a time. That way, I didn't need to bring a piece of scratch paper with the film numbers on it and the Post- it notes. They did double-duty. This system will work well in any research facility where you are required to re-shelve your items, even in repositories that are smaller than the Family History Library. After all, why search for the location twice? Probably the most popular way to "pay it forward" in the genealogical world is to join an online lookup service in which volunteers agree to look up a record in a document, book, CD, or subscription website--or take a photo of an ancestors' grave or ancestral home, etc. Depending upon the rules of the service, volunteers agree to do these acts of kindness either for free or for only the cost they incur while doing the lookup (photocopying, postage, gas, etc.). Most of the lookup services are arranged by location. Think not only of the records and sources that pertain to the city or county in which you live, but also those to which you have access that may relate to other places. For example, I live in Spokane, Washington, but I have many, many microfilmed records from Western Michigan counties held on permanent loan at my local Family History Center. So for my acts of kindness, I have chosen not only to take photographs of graves at Spokane cemeteries (in fair weather months, only! ), but also to look up records in numerous Michigan counties, covering two distinct--and distant--locations at once. Ancestry/RootsWeb's Lookups Message Board and Mailing List. There are numerous other Lookup mailing lists at RootsWeb; you can browse them by entering the search term lookup* here. Find A Grave - sign up to take grave photos at your local cemeteries. You'll need to create a free account, then go to a local cemetery's page on the website and look for photo requests under Links. Click on the photo requests link and claim one--or more--to fulfill. While the original Random Acts of Genealogical Kindness sadly shut down several years ago, its legacy lives on in several Facebook groups, including Random Acts of Genealogical Kindness, Random Acts of Genealogical Kindness USA, and Random Acts of Genealogical Kindness International. These groups are listed as "closed," but don't let that deter you. This is just one way to filter out spammers and flamers and to ensure those who are members truly are there to do kind acts. Simply request to join a group. You will need to have a (free) Facebook account, of course. Many county websites at USGenWeb and USGenNet have lookup volunteers listed. Find the U.S. county - or country (WorldGenWeb) - to which you have access to records, and e-mail the webmaster of that location's genealogy website to notify her or him of your willingness to perform lookups. Does your home library include books and/or CDs with genealogical data in which you'd be willing to perform lookups? Books We Own, Lori Case's Genealogy CD List and her Privately Owned Publications are waiting to hear from you! Cyndi's List has a long list of location-specific lookup message boards, mailing lists, websites, newsgroups, and chat rooms that would be happy to have you sign up to volunteer. On the final day of RootsTech, I did not attend the General Session. I felt I needed to sleep in and take the morning slowly, as I knew I would have to be up early to catch my flight on Sunday and then jump right into the work week. I debated whether to go to any of the sessions at all and looked carefully at the schedule. Because it was Youth Day, many of the presentations were geared for youth, beginners, or members of the LDS church, although there were definitely some offerings for others. Since it was my last day in Salt Lake City, I felt I should take advantage of a last chance to get some research done at the Family History Library. I was not to be disappointed! 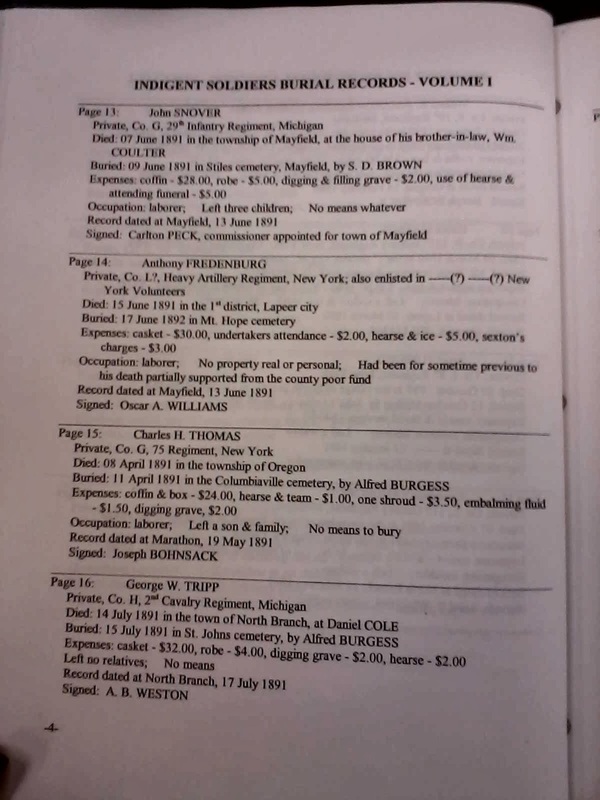 In a book titiled Indigent Soldiers Burial Records for Lapeer County, Michigan, I found a death date and and burial date and place for my ancestor, Anthony FREDENBURG. I long have tried to find confirmation of a single family mention of his death date The best part was discovering he was a Civil War soldier....this makes my NINTH Civil War soldier direct ancestor...and all on my dad's side! I went back to the Library after lunch and copied a number of obituaries for various ancestors from different counties in Michigan. Then I went over to the Salt Palace's Expo Hall to be present in case my name was called for prizes! Unfortunately, it was not, but my roomie, Donna Potter Phillips, won a DNA kit from Ancestry, and another Eastern Washington Genealogical Society member won a $50 gift certificate! After doing as much packing as I could, I set out to meet my ride to the Geneabloggers After Party, hosted by Pat Richley-Erickson and her husband, Gordon Erickson. It was a joy to reconnect with several old geneablogging friends and to meet many new ones! Our conversations were sprinkled with Spanish, Hebrew, and English spoken in American, British, and German accents, proving once again, that genealogy, blogging, and friendship transcend any language. I'm sad to leave RootsTech, the Family History Library, and the beautiful city of Salt Lake. I hope to be able to come again soon. Today's General Session's first keynote speaker was introduced by Shipley Munson, Marketing Director of FamilySearch International: The Legal Genealogist, Judy G. Russell. She is an engaging and entertaining speaker; as fabulous a speaker as she is a blogger! Her keynote was titled "Just Three Generations," in which she explained that oral family history can be lost in three generations, if not handed down deliberately AND accurately. She related how one ancestor's brother died in the Battle of Trenton during the Revolutionary War, and how his story would have completely been lost, if another brother hadn't mentioned it while applying for a military pension for himself. She also shared how another story had deliberately been passed down over the generations regarding a Mayflower ancestor. However, although that story had been handed down deliberately, it hadn't been done so accurately. Using the Genealogical Proof Standard, Judy had refuted the story. Her final ancestral story was about her great-grandfather who seemed to have too many occupations: cowboy, ranch owner, farmer, traveling salesman, lawman, and circuit-riding preacher. Surely, there must be a mistake somewhere! Eventually, Judy was able to piece together the truth that her ancestor had indeed had each and every one of these occupations during his lifetime. She encouraged us to record our ancestors' stories, as well as our own. He then introduced the "Indiana Jones of Genetics," Dr. Spencer Wells of the National Geographic Genographic Project. Dr. Wells explained how he became interested in population genetics as a young boy when he was curious about his name, Rush Spencer Wells, IV. By talking to his grandmother, he was able to see how the name had been passed down over the generations, and even before the first Rush Spencer Wells, the surnames Rush and Spencer were in his family tree. This later grew into a love of science and genetics. The overarching question behind the Genographic Project is, "How do we explain the incredible diversity in the human race?" This can further be broken down into two other questions: "Where did we come from?" (origin) and "How did we get here?" (journey). He said that the question of origin is actually a question about genealogists. Because of the interest in genealogy and DNA, the power of "citizen science" has come about, as people have become quite knowledgeable about DNA. While the first project was launched in 2005, with one million people tested from then to 2013, Geno 2.0 is the relaunched project, which is estimated to hit another million tested in this year alone. One of the features of the project will be the ability to share stories with other people in the database with the same ancestry. Final points were that genetic testing has exploded recently because of consumer genomics, DNA becoming a part of the national consciousness, people in today's society are comfortable sharing their most private information, and the "word of mouth" threshold, also known as "viral" spread. My first morning session was a lab called "Using Evernote for as Your Primary Tool for Capturing Notes and Ideas" by Andrew Smith. Labs were special sessions that you had to pre-register and pay for, mainly because they had limited seating at computer stations. I wasn't sure who this "Andrew Smith" guy was, until I walked in and recognized Drew Smith of the Genealogy Guys podcast! Even though I feel fairly familiar with Evernote and use it almost daily, I was glad to discover some new-to-me features. For instance, I learned that you can save audio recordings to Evernote, and not just text, images, or web clippings. I also learned about email reminders that you can set up (for To-Do lists you create on Evernote, for instance), as well as how to email things to Evernote. The hour flew by quite quickly, and it was very enjoyable. Next came the lunch hour and I spent most of it in the Expo Hall, going from vendor to vendor to get my "passport" signed in order to turn it in for a drawing for an iPad. In the process, I ran into a number of Facebook and geneablogging friends, some of whom I had not previously met in "real life." (The same thing had occurred before the General Session took place earlier in the morning.) 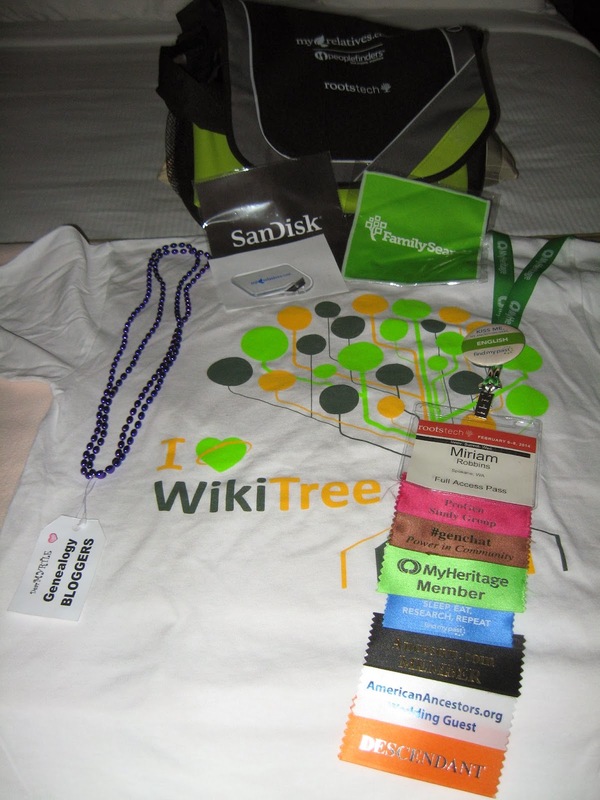 I picked up a large amount of "swag" (freebies) from vendors as well. My first afternoon session was Dr. Blaine T. Bettinger's "Begging for Spit." He identified the challenges that can occur when we want others to take a DNA test, with a step-by-step approach to solving those problems successfully. I took lots of notes, because I am hoping to start testing family members soon. I know that I may get some questions and valid concerns which I would like to address accordingly. I again skipped the middle session and went back to the Expo Hall to finish getting my "passport" filled out. One of the last things I did was watch a demo of Newspapers.com at the BackBlaze demo theater. The interface reminded me a lot of Fold3's, which makes sense, as they are both owned by Ancestry. The final session was "Technology for Deciphering Foreign Language Records" by Randy Whited. While again, much was not new to me (in fact, my next Tuesday's Tip, which I've already pre-written) will be focused on this topic), I did learn a couple of things. For instance, I did not realize that Microsoft Word gives you the ability to change languages, which is great for transcriptions! Also, BYU has a great (free) Script Tutorial here. I had planned to attend the free "Pizza at the Library" event, but decided it would be too crowded. I instead went to dinner at my usual place, and then uploaded photos to Facebook (which you can view here, even if you don't have a Facebook account). I went to the Library later after the crowds thinned down, to (unsuccessfully) hunt for some cemetery records for a few ancestors in Michigan. Syllabus materials are available for free for a limited time at http://rootstech.org/about. Videos will soon be available as well, for the keynote addresses and some sessions. LiveStreaming is available every morning of RootsTech on the home page at 8:00 AM, Mountain Standard Time. He then introduced the CEO and President of FamilySearch International, Dennis Brimhall, who welcomed us to the fourth annual RootsTech. 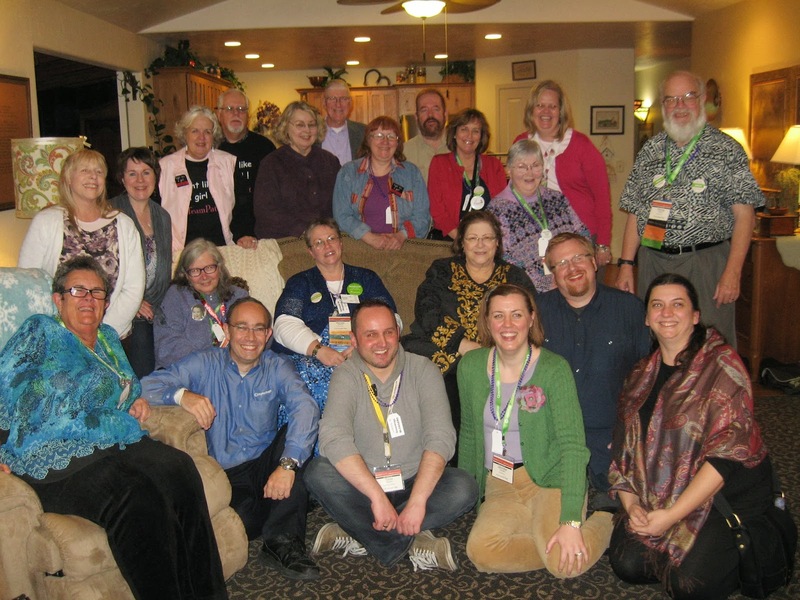 Next Monday, volunteers will begin working on RootsTech 2015, which will be held in conjunction with the Federation of Genealogical Societies Conference here in Salt Lake City on February 12-14 (Innovator Day will be February 11th). Dennis also mentioned that there are currently 622 RootsTech Family History Fairs being held globally in tandem with the Salt Lake RootsTech. Last year, there were only 16 with an average of 200 people each. It is estimated, then, that over 150,000 people around the world will participate in a RootsTech experience this week. Stories - FamilySearch has made it easier to share stories and photos on their website with the Memories Tab, where you can upload photos, stories, and documents. In the past year, 150,000 people uploaded 12 million sources; an average of 500 stories a day. For those who do not have access to computers, a paper approach to preserving family history has been created. "My Family" booklets (1.7 million of them) in 27 languages have been shipped out to locations world-wide in an effort to gather and preserve family stories. The end result is to have these be added online. Finally, a texting app for cell phones (not smartphones) is in development so that those who don't have either computers or smartphones can use their cell phones to build a family tree online. Records - Dennis' presentation was interrupted by a pirate, Captain Jack Starling, informed us that dead men tell no tales, but their obituaries do! Obits contain stories that are locked away. The next big FamilySearch Indexing project will focus on indexing this record group. FamilySearch has signed several agreements, with more pending, to get millions of obituaries online. Currently, there are one billion indexed records now on FamilySearch, thanks to the volunteer indexers, with 267 camera crews currently imaging 5.3 billion records in North and South America and Europe...BUT there are 10 billion waiting, at risk to damage and destruction. It will take 300 years to index what already has been imaged, so FamilySearch must change what they are doing. Partners - The way that change can happen so that the records can be imaged, indexed, and available within one generation (the goal) is to partner with other organizations and corporations. One example is in Guatemala, where the government is contributing 30 camera crews to image their records, while FamilySearch will be hosting and indexing these records online. FamilySearch has announced major partnering with Ancestry, findmypast, and MyHeritage in obtaining records. These partnerships will allow LDS members to have free access to these subscription websites in their homes, and the public will be allowed to access them for free at FamilySearch Centers. In addition, FamilySearch has over 30 certified partners, including software companies Ancestral Quest, Legacy Family Tree, and RootsMagic; societies such as the New England Historic and Genealogical Society and the Federation of Genealogical Societies; and app companies FamilyMap and Puzilla. D. Joshua Taylor (Genealogy Road Show) introduced the first keynote speaker, Annalies van den Belt of findmypast. She talked a bit about her own family history, and then the vision of findmypast. One of the most important projects is digitizing the documents of the Imperial War Museum, which has collected documents, photos, and stories of thousands of individuals who served as soldiers or on the home front during World War I. The second speaker was Ree Drummond, who blogs at The Pioneer Woman and now has a cooking show. Her down-home speech was about the importance of writing down the everyday stories so that someday they may be enjoyed by future generations. The first session I attended was Tom Jones's "Can a Complex Research Problem Be Solved Online?" I was fortunate to get a seat, since the room was packed. Tom brought us through the convoluted but fascinating story of a man who was married five times to four wives, used three fictitious names, has numerous children, and who was missing in many census and vital records. At the lunch break, I peeked into the vendor hall, but it was too crowded for my liking, so I ended up heading outside the convention center for a quiet, relaxed lunch. I returned to attend "Treasures Within the Ivory Tower: Finding Family in Academic Archives" by Laura Prescott. This focused on the wealth of documents, photos, and even artifacts found within university and college archives and libraries, offline. Laura used their websites, as well as demonstrating using NUCMC and OCLC to locate where resources can be found for your ancestors, their siblings, or their neighbors. She reminded us that even if our ancestors didn't attend college, they may have worked for one and be listed in employee records, or they may have simply donated their own family collections to be preserved at a university archive. The next session I wanted to attend, "DIY Publishing for the Family Historian: Tips, Tricks, and Tools" by Lisa Alzo, was cancelled because Lisa had been unable to arrive on time due to the bad weather impeding flights back east. The other session I had wanted to attend, "Google Hangouts 101a: The Panelists' View" by Pat Richley, required pre-registration; I didn't have a ticket because I had intended to attend Lisa's presentation. While there sixteen other great choices, I decided I was a bit tired and decided to take another break in which I planned out what I would look for at my next trip to the Family History Library. The last session of the day was Elissa Scalise Powell's "Genealogy Online Courses Exposed!" Elissa gave an "under the hood" look at the major online courses available, from the Boston University certificate program to ProGen and everything in between. She first differentiated between what a beginner, intermediate, or advanced researcher will look for in a conference or what they want to learn. She then covered the cost; time commitment; credit, certificate or degree obtained (if applicable) from each course; and the showed the type of platform each course uses in communicating and uploading assignments. It was very thorough. After dinner, I went back to the Salt Palace to see Vocal Point, an a cappella group who has performed on The Sing-Off. I especially enjoyed their "12 Days of Christmas." After, I went to the Family History Library for an hour and a half of research. I was able to obtain and copy Washington State death certificates on microfilm for my ancestor, Mary Lucy (WRIGHT) STRONG, and my children's ancestors, John Franklin MIDKIFF Sr., John Franklin MIDKIFF Jr., and Albert Francis CHAPLIN Sr. Leading family history website findmypast.com is changing subscription prices to create a more accessible service and provide even better value for both new and existing customers. Anyone can start discovering their family history from only $9.95 with findmypast’s brand new one month US subscription. This allows you to explore all records from the USA for an entire month for under $10, a unique price point in the family history market. Findmypast is also offering a one month World subscription for only $19.95, which includes access to records from around the world, including the largest collection of Irish records online. This is the first time that findmypast has offered a monthly subscription, giving family historians the opportunity to get to know the site without any long-term commitment. Viewing all of the US records for a whole year is now available for less than $100, and the findmypast 12 month world subscription is now only $199.50. My roommates, Donna Potter Phillips and Cecily Cone Kelly, and I hit the Family History Library a little after 8:00 AM. I spent the next almost-two hours locating some deeds on microfilm for my YORK and SWEERS families. Then we went around the corner to the Salt Palace to register for RootsTech and today's Innovator Summit. The General Session, with a Keynote and a boxed lunch, was opened by Andrew Fox of findmypast, who announced a new single platform; a multitude of new records from around the world, including South Asia; integration of the FamilySearch tree with findmypast; and a new multimedia app, coming out in a few weeks, in which audio recordings and photos can be stored and shared. This announcement was followed by the keynote address by Chris Dancy of BMC. He has been dubbed "The Most Quantified Human," as he utilizes analytics to measure almost everything about himself. His presentation was humorous and quirky, and its main gist is that death has a new meaning in today's digital age. People remain immortalized online, particularly in social media. Where the Egyptians had a Book of the Dead for the living to learn spells to keep them living on in the afterlife, today's society has Facebook, Twitter, and plethora of apps and websites to interact with the dead and to keep themselves "alive" in the afterlife. One simple example is how dead people can continue to be tagged on Facebook. The examples became more complex, in which he told about going to Las Vegas and seeing a show with a hologram of Michael Jackson, wearing clothes he had never worn in real life, singing a song he had never sung before. Chris reminded us that when we die, we will continue to live on digitally in ways we never imagined. Our descendants will discover many things about us, most of which we already manipulate. It was rather a mind-boggling thought. By the way, the hall was pretty full, and we got the last few seats before they opened the overflow room for the General Session. I was fortunate to sit right next to Paul Nauta, Senior Manager of Marketing at FamilySearch. It was nice to finally meet him, and I was honored that he remembered that I was a blogger! The first regular session I attended was "A New Tool for Recording, Analyzing, and Displaing Genetic Relationships from Y-DNA, mtDNA, and Autosomal-DNA" by Capers McDonald of Johns Hopkins University. He presented a new numbering system, versus the traditional ahnentafel numbering system, based on each of the DNA tests for ease of use and understanding of the results of those tests. More can be viewed at the website, http://ancestrallines.net. I thought this was a fascinating idea and hope that the developers of genealogical software include these numbering systems in the future for research reports. The second session was "GOV - The Genealogical Gazetteer" by Timo Kracke. 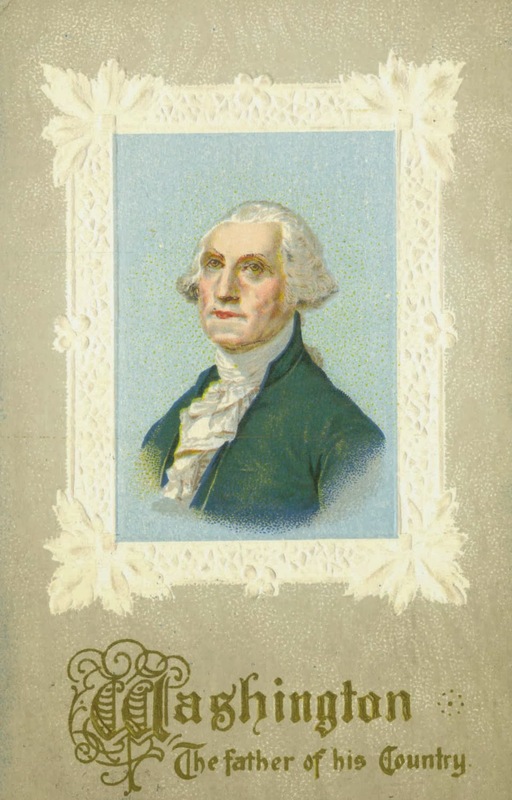 GOV does not stand for "government," but is an German acronym for The Genealogical Gazetteer. Timo spoke about the difficulty of naming particular places in genealogical software due to the fact that a location may have more than one name, simultaneously; or may have had different names over the course of history. Add to the complication that the location may be in several jurisdictions (government or ecclesiastical), whose borders and/or names also changed or may be duplicated elsewhere. Finally, there is the difficulty of using GPS to define a place; the questions that arise are: What specific coordinate designates the place? Is it the church? Which church? The town hall? Supposed it moved? Timo explained that the purpose of GOV is to use place identification that will overcome all these challenges. It is a collaborative project, wiki-style, in which he encourages others to participate. To view the website, go to http://gov.genealogy.net. By now, I was getting a bit tired, but I went to my next choice, "Building Data Models for the Research Process" by Dr. Luther Tychonievich of the University of Virginia. That was a good choice, because he was an animated speaker, so even though much of what he spoke about stretched my brain until it hurt, I did stay awake! The description of his class, as stated in the syllabus, was: "Storing data representing individual research steps instead of researcher beliefs reduces collaboration disagreements and import and export problems and simultaneously supports all levels of researcher maturity. I provide both a theoretic overview and a proof-of-concept implementation of such a data model." It was a lot to absorb and try to think about! Finally, I set off for "Empirical Evidence of the Popularity of Family History Using Digital Traces," by Dr. Arnon Hershkovitz of Tel Aviv University. Setting out to find evidence of the statement that is oft-bandied about regarding genealogy being the fastest-growing hobby on the Internet, he discovered and analyzed evidence from Twitter that shows it is actually decreasing in popularity. However, when combined with data mined from other media, including printed books, genealogy increased as a whole significantly beginning in 1976, when Roots was published. It has only slightly decreased, as a whole, since 2002. I left the final session a few minutes early, as I had a ProGen meetup at the Marriott lounge. There were only half a dozen of us, but we got our photo taken. We all had other dinner plans, so we parted ways after about a half an hour. It was very nice meeting them all and especially a couple members with whom I've been long-time friends on Facebook. Random Acts of Kindness Week is Coming!